A brilliant job well done with great understanding of the horse. Thank you. 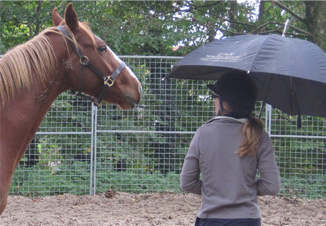 Jenny uses effective and logical training techniques derived from the study of equine psychology and behaviour, to develop the relationship and understanding between horse and owner. 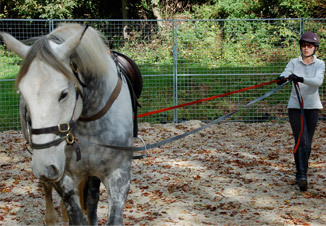 Motivated by equine welfare Jenny utilises Intelligent Horsemanship techniques to help horse/owner combinations, from unhandled ponies to world class competition horses, achieve an attentive, willing and confident partnership in a moral and ethical manner. Jenny believes that the key to success lies in incremental and consistent consolidation of training from the basic foundations upwards. Jenny is a Recommended Associate of Intelligent Horsemanship and holder of the Monty Roberts preliminary Certificate of Horsemanship. 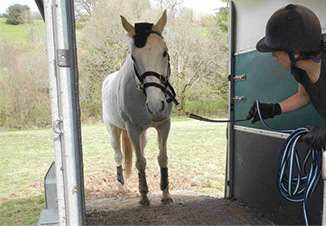 She has a BSc (Hons) degree in Equine and Human Sports Science, and extensive experience in many spheres of the equine industry including behavioural/nutritional research, equine nutrition, international competition grooming, instructing in riding schools, management roles, equine charities, training semi feral and unhandled ponies. Whether you need help with a youngster or an older horse; catching, halter training, leading, foot handling, saddling, backing, long reining, clipping, schooling, hacking, loading or any other challenge, please contact Jenny to discuss your requirements and find a solution!